View More In Green - Page 2. WellTea is a company created by tea lovers for tea lovers. We believe your tea cup and your taste buds deserve better than the average tea bags to be found on most supermarket shelves. So we've searched far and wide to source the finest teas from the plantations of China and Japan. Every tea leaf has been carefully chosen to ensure every cup will delight you with its mellow aromas and sweet, refreshing taste. At WellTea we have sourced over 100 of the highest quality and varied types of tea from the most highly rated plantations across the world. This includes the very best black, green, oolong, herbal & flavoured teas that the world of tea drinking has to offer. As keen tea enthusiasts, we're also students and advocates of the tea ceremony and the ritualistic nature of brewing the perfect cup of tea. So along with the most exotic and enticing types of tea, we also offer an extensive range of teapots, cups and accessories which will equip you to enjoy the full aroma, taste and texture our teas as its growers and harvesters intended. Upgrading your tea drinking habits to that of the finest Chinese and Japanese teas will provide you with a source of inspiration and exploration, as well as relaxation. We believe it's an experience you'll want to share with others. So we provide a free gift wrapping service. This will enable you to award friends, relatives and loved ones the special gift of an introduction to the exotic world of teas to be found in the distant and exotic plantations of the orient. WellTea teas have passed the most stringent third party quality checks, and have been officially certificated and approved for distribution to US markets. All WellTea teas sold on Amazon are exactly as described and seen on the pictures and features a 1-year NO QUESTIONS ASKED money back guarantee. WellTea is a registered trademark and all rights are reserved. USA trademark No. 4,962,422. Net weight: 500g. Gyokuro Premium tea is regarded as a very exclusive and luxurious type of tea. Its reputation also comes from its elegant aroma, sweet taste, and light green colour. This combination makes it the perfect Japanese green tea for sharing with friends and watching their faces light up after sampling a cup. Gyokuro Premium is regarded as one of the highest quality green teas produced in Japan, which is high praise indeed coming from the birthplace of tea culture. Cultivated almost exclusively in the fields of Uji in Japan's ancient capital of Kyoto, Gyokuro green tea is one of Japan's finest grades of green tea. The process for making Gyokuro Premium tea is the opposite of Japan's other popular type of tea, Sencha, which is left exposed in the sunlight. Shading the tea plants helps to turn Gyokuro leaves a vivid, chlorophyll-rich green and is what gives the tea produced an elegant sweet flavour. 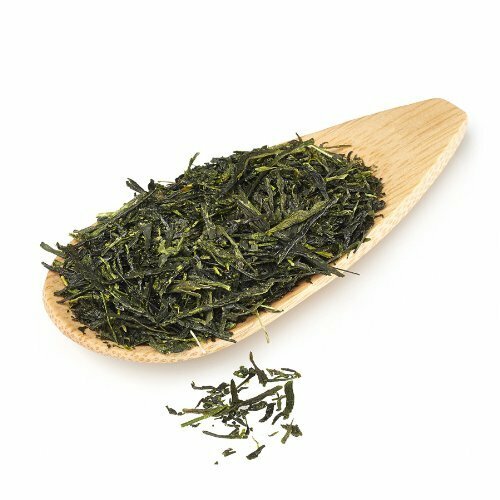 Part of Gyokuro's revered reputation and uniquely smooth and characteristically sweet taste comes from the unique methods with which it is harvested. The young bushes from which the leaves are plucked are kept in the shade from the sun with dark straw mats. If you have any questions about this product by WellTea, contact us by completing and submitting the form below. If you are looking for a specif part number, please include it with your message.